The rugged GoPro HERO7 Silver is a great all-around camera that's compatible with dozens of mounts and accessories. For a truly immersive experience, you'll want to consider a camera that records 360-degree video, like the Garmin VIRB 360. Gimbal technology found in cameras like the DJI Osmo gives you incredibly sharp and steady, handheld footage. ... Now, here’s everything you need to know when choosing a camera to take along on your next adventure. 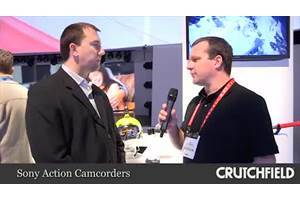 All action video cameras are rugged, but there are varying degrees of toughness. Each product is clearly labeled with specific information on what it can tolerate: how deep underwater it can be submerged, how far you can drop it and expect it to still work, and how hot or cold it can get. If you’re doing something really extreme, make sure you choose a camera that’s rated to handle it. Make sure your camera is tough enough before you take it kayaking. Action video cameras are commonly mounted to handlebars or on helmets. It always pays to find out how the mounting system will work before making a final choice. You will likely see methods that use straps, clamps, or adhesives to keep the mount in place. In addition, you’ll want to know if the mount is fixed in one position, or if it can be tilted and pivoted when necessary. 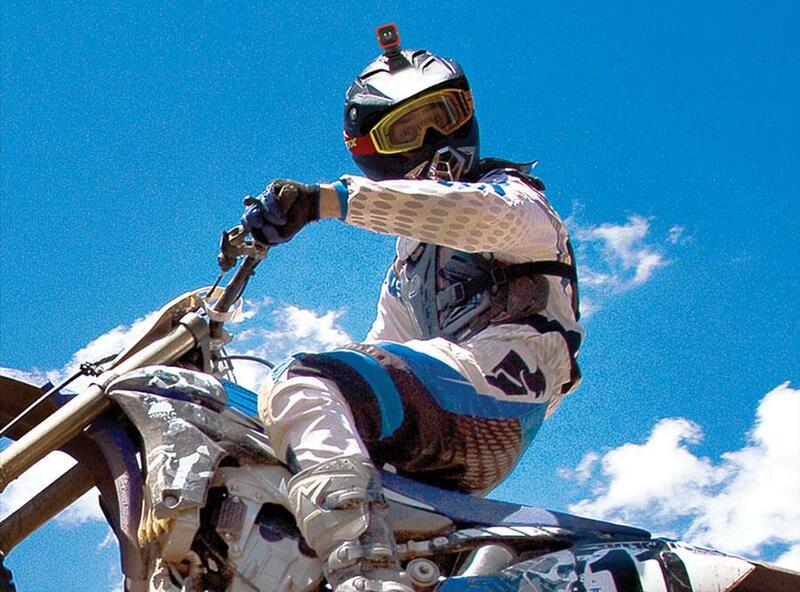 A low-profile camera on a helmet mount lets you record spectacular action footage from your own point of view. Many action cameras have built-in Wi-Fi so you can make your sedentary friends jealous, or inspire them to plan their own adventure holidays. Some cameras let you control basic functions via a wireless connection as well, so you can start and stop recording with a compatible smart device. Very useful if you’ve mounted the camera on a nearby railing so you can film skateboard tricks. Action camera manufacturers work hard to produce do-it-all apps for mobile devices. They typically include ways to edit and share your creations. Some let you control camera functions and mark locations in your video while you're filming. You may also see features that let you play video back in slow motion, add special effects, or layer the video with speed, altitude, and similar telemetry data. If you’re surfing off Maui, running the Boston Marathon, or biking Moab, location is an important part of the experience. 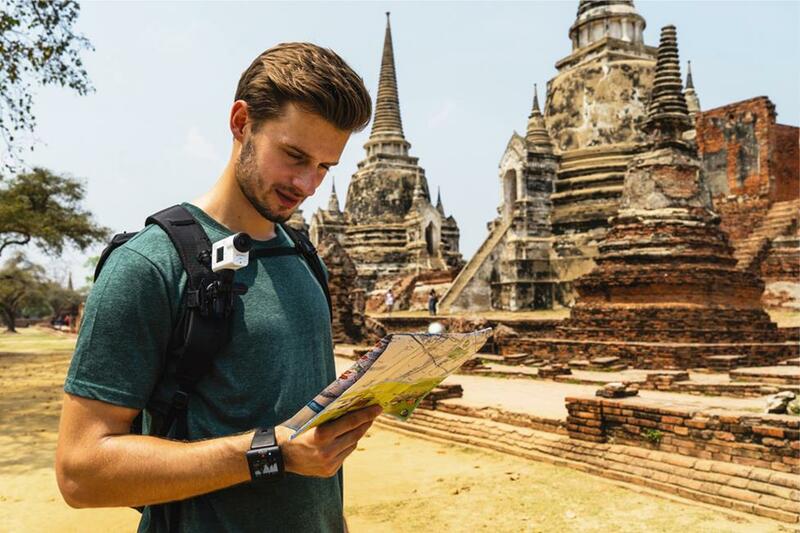 A GPS-enabled camera can automatically tag videos with all-important geographical details, so you can remember exactly where you were when that one awesome thing happened. Tag your photos and videos with GPS information, so you can remember exactly where your adventures take you. If you want to feel like you're re-living exciting moments, pay attention to the resolution specs for your camera. The most common options are HD at 1920 x 1080 pixels, or Ultra HD 4K, which uses four times as many pixels to create the same image. 4K is incredibly sharp and clear, but it does have limitations. 4K footage is harder to edit, and takes up a lot more room on your memory card. Also, you have to consider frames per second. Some cameras will show a spec like 720p at 120 fps. This is lower resolution, but the higher frame rate lets you play it back in slow motion, and sometimes that's exactly what you'll want to do. Some cameras give even more information about you and your surrounding environment. An advanced camera may include an altimeter, compass, heart rate monitor, pedaling RPM tracker, barometric pressure indicator, and more. Many cameras offer special shooting modes so you can create more artistic action videos. The most common options are slow motion and time lapse footage. Check the details when choosing a camera, and make sure it will give you the creative control you want. 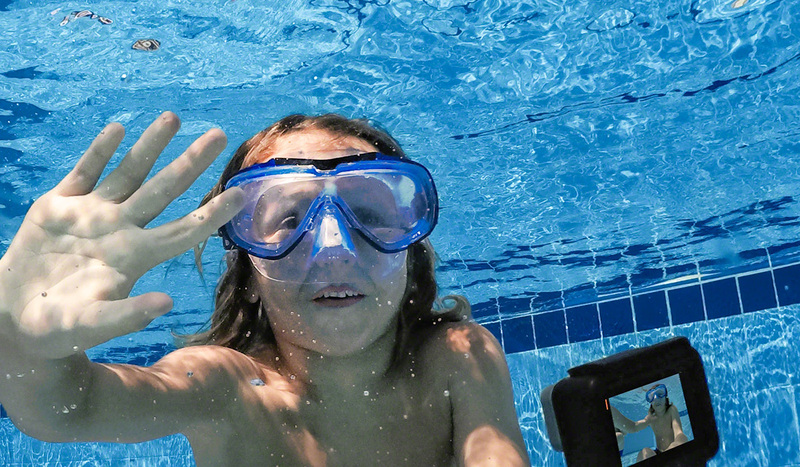 Most activities requiring an action cam also require you to use your hands to steer, swim, climb, or balance. Most cameras offer some sort of wireless remote control that can be mounted on a wristband, helmet, handlebars, or chest mount. 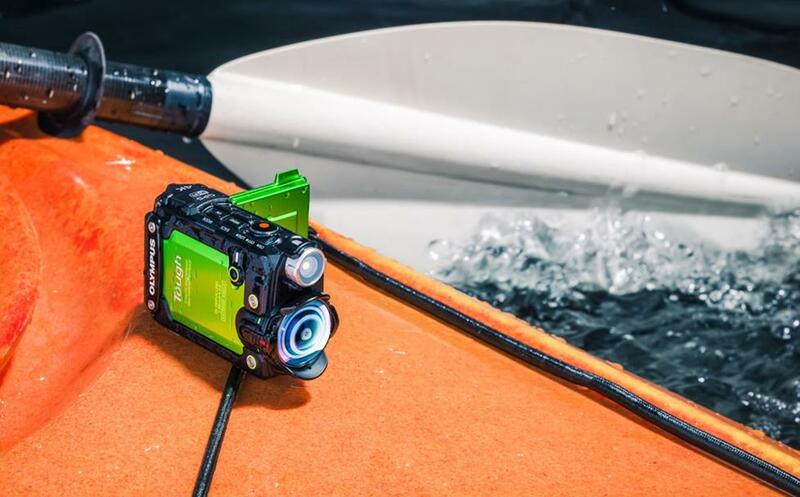 It's important to note that the wireless functions won't work underwater, but the devices themselves are usually splashproof, so you can take them boating or surfing. The GoPro HERO5 Black and HERO5 Session introduced voice control, which makes hands-free operation even easier. Odds are, if you’re using an action camera, you won’t be near a power outlet for some time. Check to see how long a camera can go on a full battery, and consider taking an extra with you so you don’t miss a thing. Generally, video cameras record to some type of SD card, but some have limited internal memory as well. As with batteries, you’ll want to know how long each card can last, and keep spares handy. You’ll also want to make sure you get memory cards with a high speed class for recording video—we recommend Speed Class 10. Action cameras require a range of accessories that standard video cameras won’t typically need. These include a wide variety of mounts for different activities, special casings for snorkeling, and more. 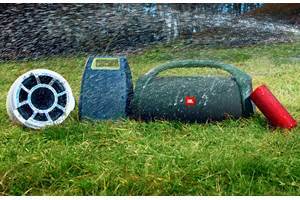 Since these items tend to be made specifically to fit individual models, your best bet is to check the accessories link on the cameras you're considering. There may be something there you’ve never seen before that becomes indispensable. Our friendly Advisors can help you choose an action cam that will stand up to your next adventure. Give us a call today for free, personalized advice.